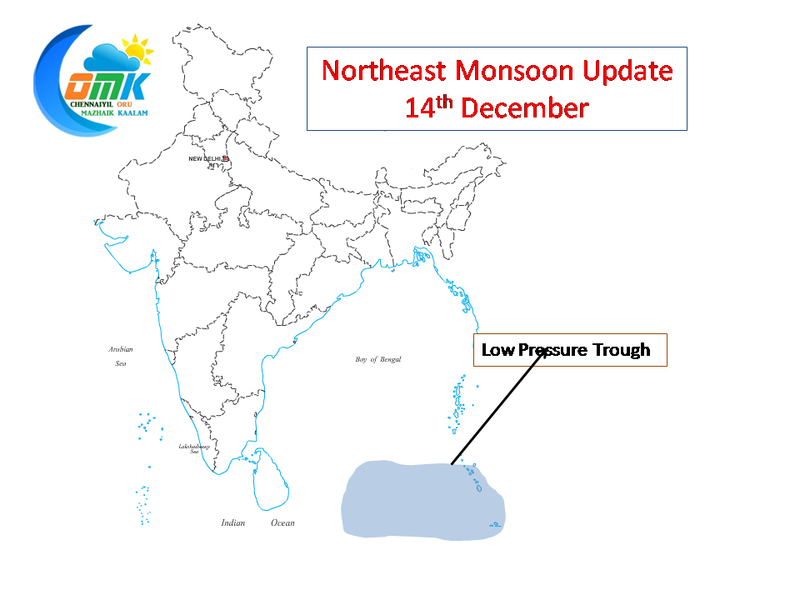 As expected a low pressure trough exists near Andaman Islands. Will this develop into an organized disturbance, looks doubtful though with nature it is never impossible. But it would certainly push Easterlies strongly into Peninsular India. 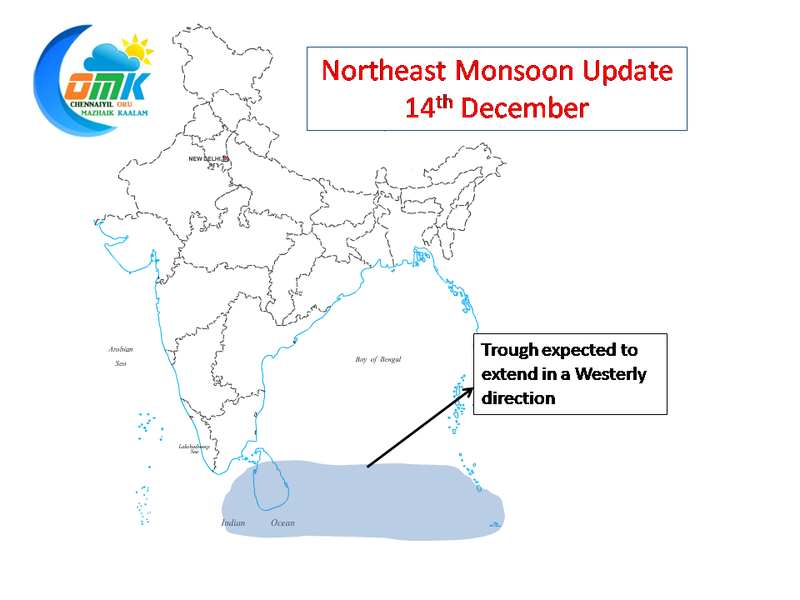 The low pressure trough is expected to move in a Westward direction towards Sri Lanka. 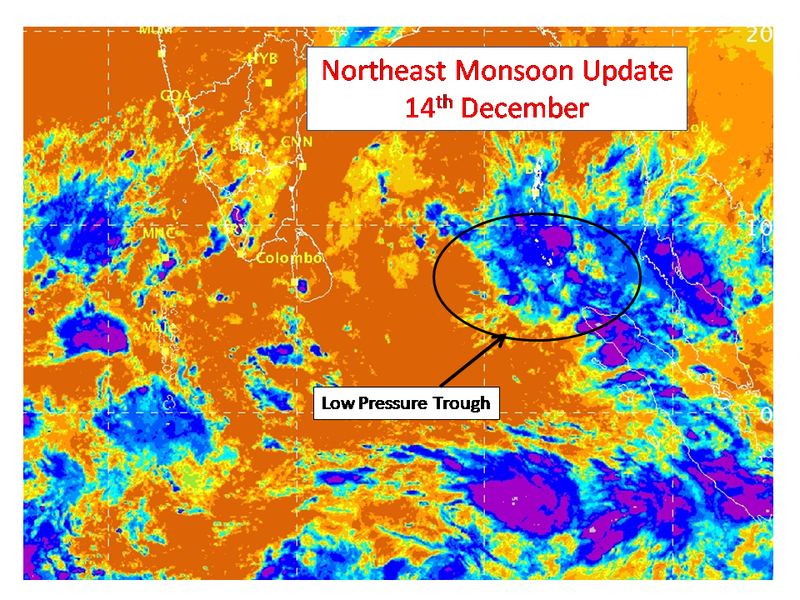 Thanks to ITCZ being around Sri Lankan Latitude the convection is restricted majorly to South Tamil Nadu & Sri Lanka. 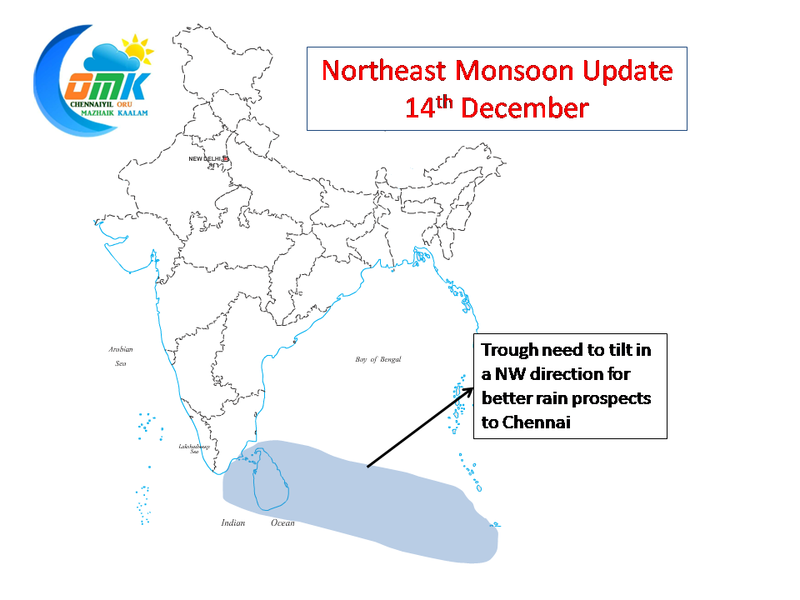 Will the low pressure trough tilt in a NW direction to help Northern Tamil Nadu we will have to wait and watch.